Piper has never met a carbohydrate she didn’t love. To get in her good graces, you just need to serve up pasta. Piper prefers spaghetti. 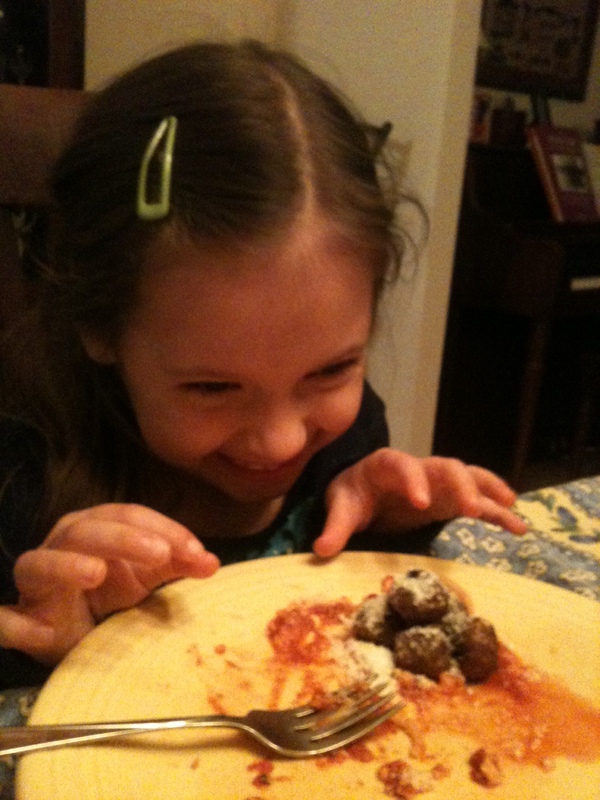 Tonight she stacked her meatballs high and sprinkled on the parmesan. “There’s only one thing in the whole world better than spaghetti and meatballs and parmesan,” Piper declared. “What’s that?” I asked, twirling the marinara love.